The high density BALLASTED POWER RAIL mounting system is designed to install fast and provide a secure mounting structure for framed modules. 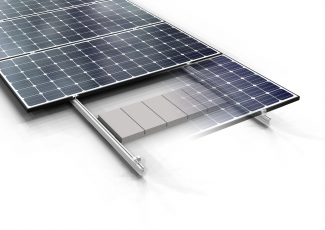 The unique modular design provides the flexibility to design and install the mounting system around roof obstructions and avoide shaded areas. The hassle-free assembly of this system is the clear choice for installers who prefer a racking system that installs quickly with fewer components.